What is Bugatti Veyron SuperSport top speed? Bugatti Veyron 16.4 Super Sport is the world’s fastest production car with a top speed of 431 km/h. Bugatti Veryon SS, the 1200 hp monster, is one of the greatest modern day mechanical achievements. Unfortunately it has one of the biggest pricetags too. Starting at $2,700,000 you too can buy a Veyron SS and experience world’s fastest production vehicle, though with a limited top speed of 415 km/h (257.91 mph). 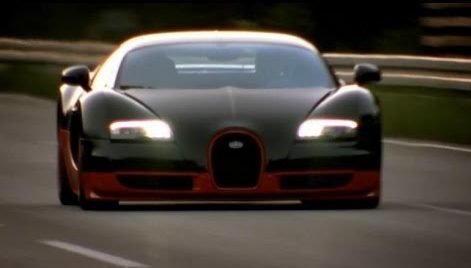 Although the top speed of a Buggati Veyron 16.4 Super Sport is 431.072 km/h (267.856 mph), a record set by Pierre-Henri Raphanel on July 4, 2010, it is electronically limited to 415.07 km/h (257.91 mph) to protect the tires from disintegrating.